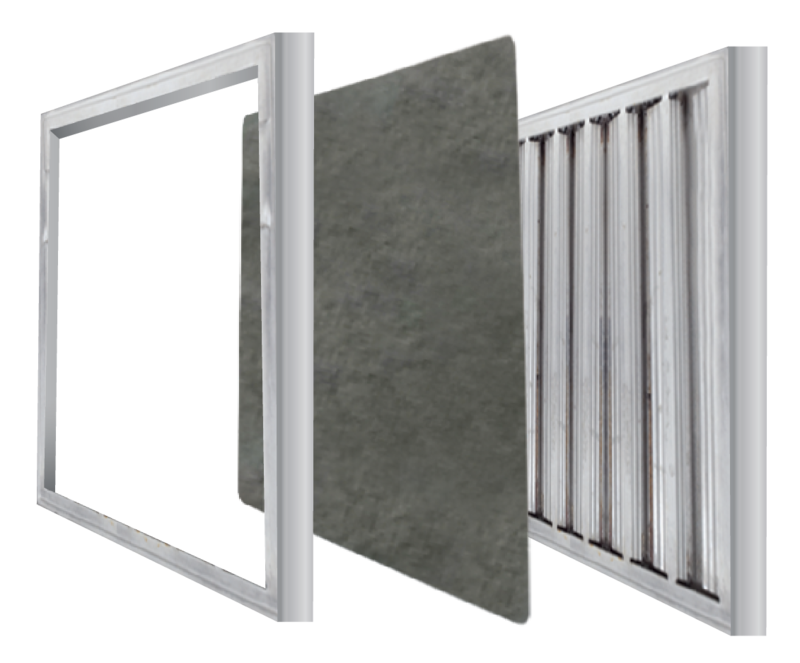 Disposable Wool Grease Filters are easily installed over our specially designed filter frame or can be fitted to your existing honeycomb filter. Our disposable kitchen grease filters simply are installed upstream / in front of a restaurant metal grease filters and capture up to 98% of the grease particles before they enter the kitchen exhaust system! 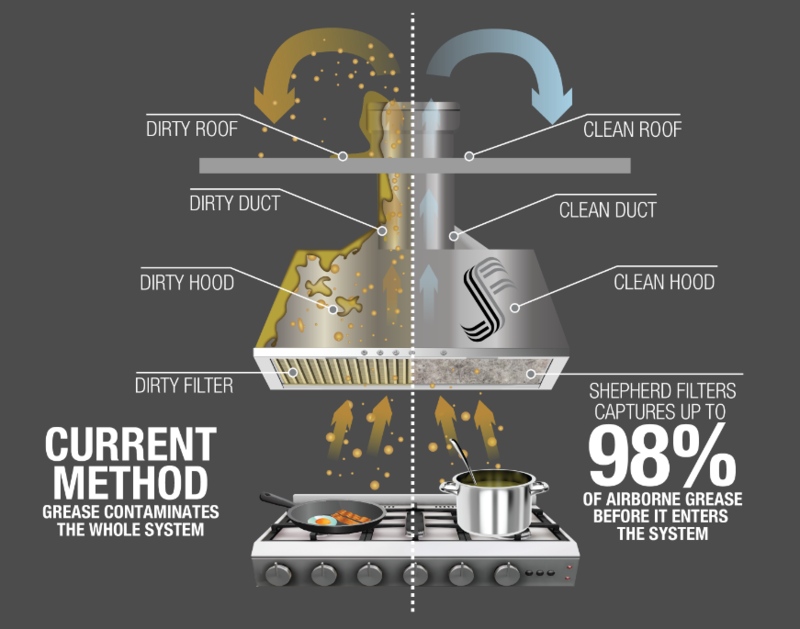 The Disposable Wool Grease Filters capture up to 98% of the grease particles compared to regular metal baffle filters only capturing about 18-20% of these same grease particles. The best thing is store employees can replace the disposable grease filters when needed and dispose of the old filters in your regular rubbish or we can organise one of our service technicians to schedule a service call for you once they are in need of changing. They are made from 100% wool, which makes them not only fire retardant but also completely biodegradable.